A texture of After-Shave Balm declined in the virile and woody scent of the Cade organic essential oil. 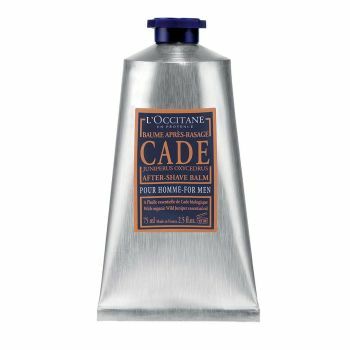 With its high quality formula, it helps to sooth the burning sensation after shaving and reduce the feeling of tightness. Quick application, immediately soothing and comforting.